Great homes start in Northern Rivers. Matt and Nicky Lowson along with the team’s sales manager and business partner Luke Thornley head up Stroud Homes Northern Rivers. Matt, Nicky and Luke have built a great reputation in the Northern Rivers region for helping families build affordable, high quality new homes that they will love! Stroud Homes Northern Rivers brings you beautiful, award-winning homes that fit your land, your budget and your family. Matt and team hit the ground running on the very day my land was settled by the council. We were so happy that Stroud Homes Nothern Rivers allowed us full control of what was happening on the ground i.e met and discussed as we go with sub-contractors like the painter, the tiler, the plumber, the electrician etc. That means the whole experience was hustle-free and done to a perfection. Matt and Rohan are very approachable and were easy to work with – would recommend Stroud to anyone wishing to live like a King in the Northern Rivers. My Kirra303 final costs is around the median house price in my neighbourhood but worth significantly more – talking about value for money from Stroud Homes Northern Rivers. Our first home build was made so easy with the team at Stroud Northern Rivers from design plans, communication all through the build. They were very well structured and organised and had our home built in excellent time. Quality and also communications was terrific from start to finish with Matt our sales person and his team along with Rohan our build supervisor. Overall a perfect family home with great standard inclusions plus more creating our new family home. Wouldn’t hesitate to build with them again and highly recommended. Since starting our journey with Stroud Northern Rivers we have received amazing service. Everything that has been detailed and promised has been met and although we did request quotes elsewhere we easily made the decision to go with Stroud as they are pretty much the only builders that have included everything in our cost, no hidden charges to come, no unknowns. Luke, Larnah and the rest of the team have shown great care and attention toward what for us, as a young family, is a very big step. Thanks guys! Highly recommend to anyone looking to build!! Made building our first house easy and enjoyable!! Stroud were amazing to deal with! All staff are friendly, approachable and made building our first house easy! Everything was exactly as we imagined! We would build with Stroud again any day! We recently underwent our 6 monthly maintenance review, we both went through the house and detached granny flat with a fine tooth comb and came up with 9 very minor defect’s, when they sent the foreman out to inspect, we were pleasantly surprised to see Rohan who we had throughout the build, not only did he fix the most of the defects, he organised the tradesmen to do the remaining defect’s within the week and at a time that suited us. I shouldn’t be surprised by this kind of service as it was exactly what we had throughout the entire build, not only were there staff friendly and professional, but they delivered our dream home on time and on budget. 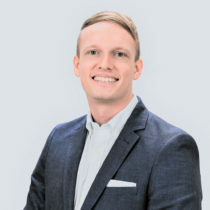 When Matt rang and asked if we minded if we entered our home in the building awards, it meant a lot to us to even be considered, we were both blown away when we received a message from Matt informing us that we had won an ward with our home. 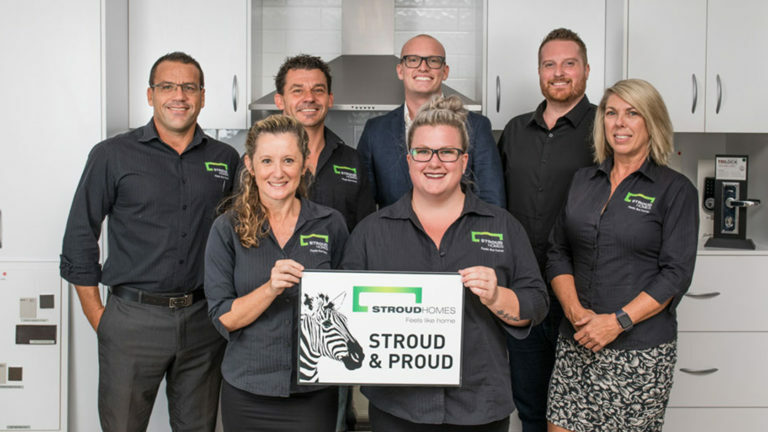 I’ve heard a lot of horror stories from friend’s about building with other builder’s , so we were very nervous in the building of our 1st new home, but I can honestly say that from our first meeting to now, Stroud Homes Northern Rivers have been excellent, and would recommend them to anyone looking to build there perfect dream home. 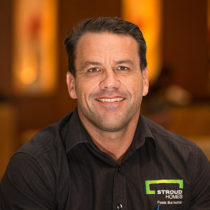 Why Build with Stroud Homes Northern Rivers? 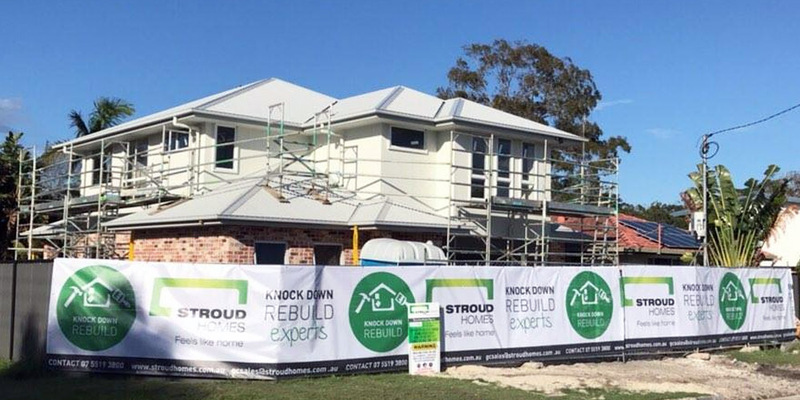 Don’t undertake stressful renovations or costly extensions, you could have your dream home with a Knock Down Rebuild with Stroud Homes Northern Rivers. When you build with Stroud Homes Northern Rivers you could also be contributing to important reforestation projects planned for your area. For every house we build Stroud Homes will contribute 15 trees to a local reforestation project. We do this by partnering with forestry professionals to identify environmentally relevant projects and then fund planting of native forests. Take us up on a Free Site Inspection! No strings attached – this is a completely FREE offer. It’s just yet another way Stroud Homes helps you the homebuyer make the best buying decision. You can customise any of our standard plans to suit your needs. All tailored plans still come with our guaranteed black and white quotes, so what you see is what you get! Sloping block? No trouble – we have a range of split level designs any of which can be further customised to suit your needs.